The following books are distinct and should not be combined: the books Reassembling the Social , Making Things Public , Pandora's Hope , Aramis , The Pasteurization of France , and We Have Never Been Modern are 6 distinct works. Medal of Honor Institute of Advanced Studies, University of Bologna. Bruno Latour is currently considered a "single author." If one or more works are by a distinct, homonymous authors, go ahead and split the author. 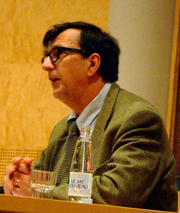 Bruno Latour is composed of 5 names. You can examine and separate out names.